Helsinki is the number one general port for international freight traffic in Finland. According to Port of Helsinki statistics n 2017, Helsinki grew to become the busiest passenger port in Europe and possibly the entire world with 12.3 million passengers. Passenger numbers continued to increase on the Helsinki-Tallinn route in particular, reflecting the development of Helsinki and Tallinn into ‘twin cities’ with close economic and social ties. Meanwhile, liner traffic to Stockholm, St Petersburg and Travemünde remained stable, as it has for several years, while international cruise traffic increased significantly. In 2017, the Port of Helsinki’s total number of ship passengers grew by 2.4% compared to the previous year. The number of liner traffic passengers alone grew by 1.8%, to 11.8 million. A total of 9 million passengers (+3.2%) passed between Tallinn and Helsinki, while 2.3 million (-0.1%) passed between Stockholm and Helsinki. During the year, Helsinki also recorded 266 international cruise ship visits and 478,000 (+ 16.8%) cruise ship passengers, which was an all-time record. – In recent years, shipping companies have introduced larger and faster ships for the Helsinki-Tallinn route, while also increasing their passenger capacities during peak seasons, says Director Kari Noroviita, who is in charge of passenger harbours at the Port of Helsinki. 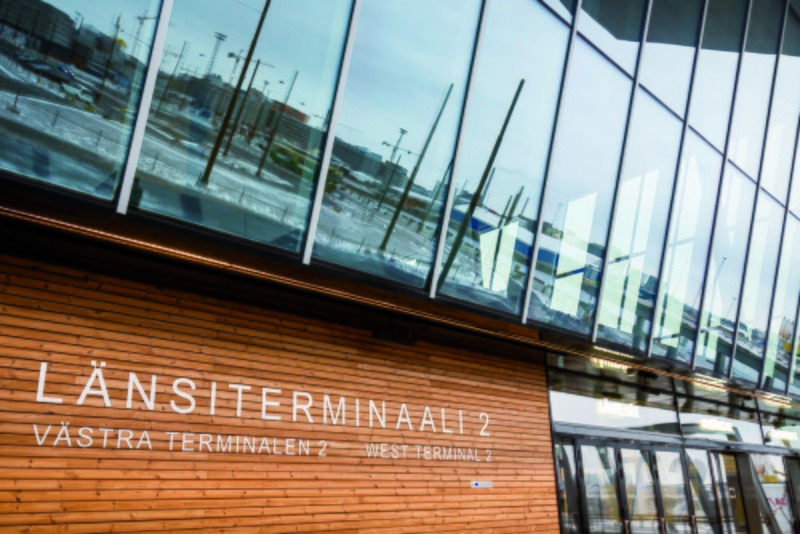 – The Port of Helsinki, meanwhile, has responded to demand by significantly increasing its capacity for fast scheduled traffic to Tallinn with the opening of the new West Terminal 2 and related area arrangements in February 2017. The Port’s impact on the Helsinki metropolitan area’s tourist services, hotel and restaurant industries, transportation and retail trade is significant. Marine passengers bring over EUR 805 million to the Helsinki region annually, and the combined total revenue generated by operations related to the Port is approximately EUR 1.6 billion. Taking into account the local multiplier effect, port-related operations provide jobs for a total of 15,000 employees. (Helsingin sataman vaikuttavuustutkimus 2016 (Port of Helsinki Impact Assessment 2016, in Finnish). Finland’s economic growth and the centralisation of cargo traffic had a strong impact on ports. The Port of Helsinki achieved record-breaking numbers in 2017, becoming the country’s number one general port for international freight traffic. The total tonnage of international freight traffic handled was 14 million tonnes (+14.3%). The Port of Helsinki’s total throughput was 14.3 million tonnes, (+14.2%), of which imports accounted for 7.3 million tonnes (+13.2%) and exports 6.9 million tonnes (+14.6%). The volume of freight transported in large-sized unit loads was 11.89 million tonnes (+12.5%). Of this, container traffic accounted for 491,000 TEU (*), (+8.8%) and rubber-wheel traffic (**) accounted for 587,000 units (+11.1%). – The sizes of container and ro-ro ships are growing, which is a trend that has continued for several years now. Traffic volumes are expected to keep increasing in the future as well, predicts Jukka Kallio, the director of Vuosaari Harbour. The Port of Helsinki Ltd is the busiest passenger port in Europe. We create a seamless framework for sea traffic to destinations such as Tallinn and Stockholm. The Port of Helsinki is also Finland’s leading general port for international cargo traffic, serving the business world and well-being of the Helsinki region and the whole country. ** Rubber-wheeled Traffic = goods transported by road in trucks, trailers and similar vehicles.